The Splendid Sampler Bonus First Block! Here is my first block for The Splendid Sampler! 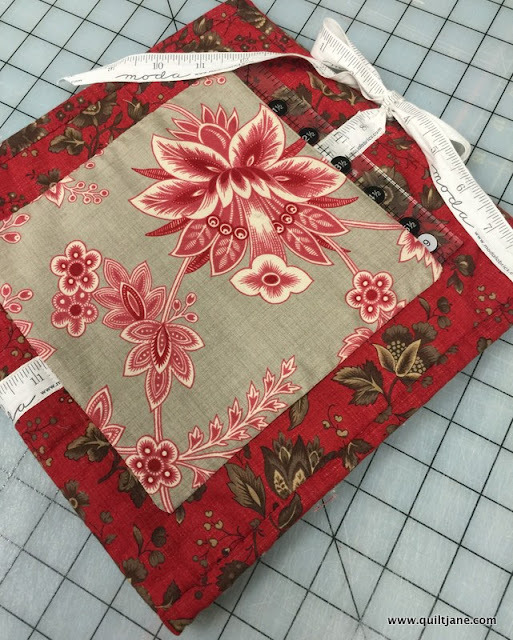 Pat and Jane had an early release party with this block for a special project that will help you throughout your Sew Along journey! 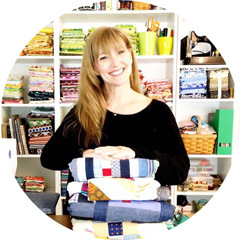 For my blocks, I chose to dive into my stash of Amy Butler fabrics and I will be piecing with Aurifil 50wt for perfect seams and flat blocks! 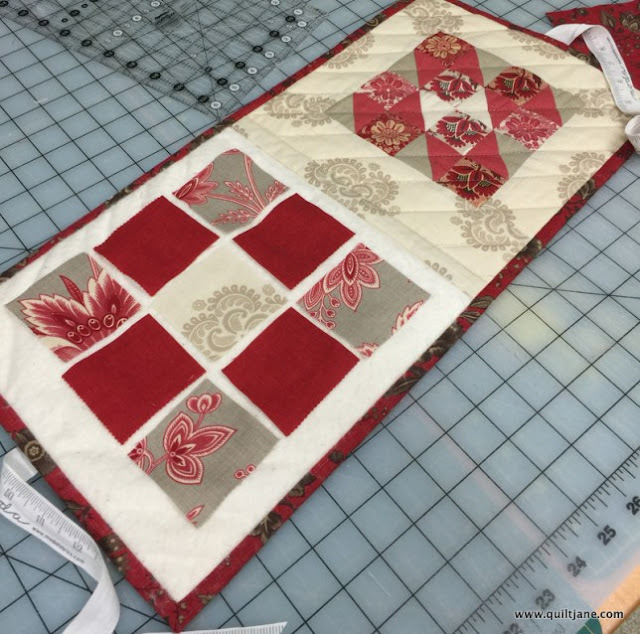 As a fun BONUS...Jane designed a Folding Block Station with a free tutorial for you to try out your blocks to make sure you love the layout before you stitch them up! 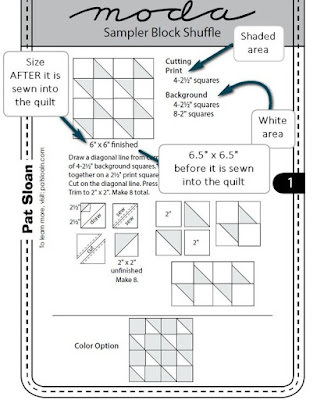 As another added bonus, Pat Sloan created a fantastic tutorial on how to read quilt patterns! Make sure to visit this one! 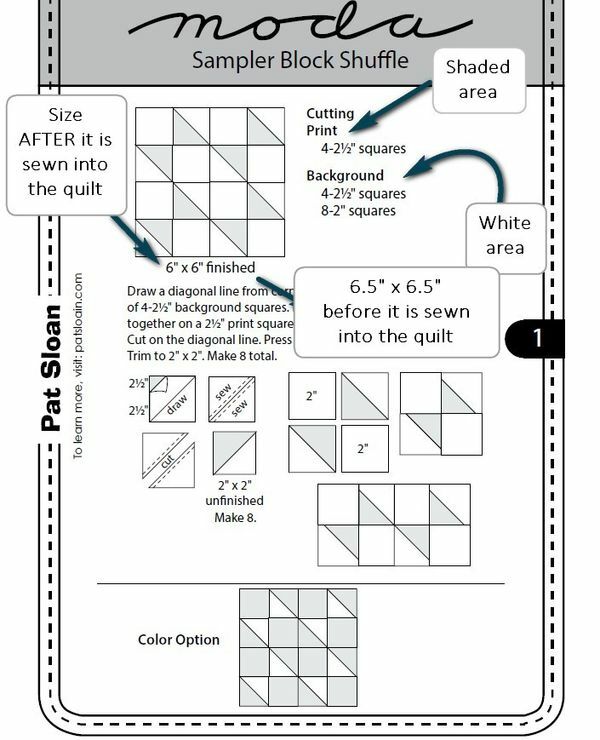 It is everything you need to know about reading a quilt pattern! Thanks Pat! Only NINE days until the event starts! Cannot wait to see in the Facebook group ( almost 10,000 strong) or on Instagram sharing your blocks! the count down starts.. how many sleeps! Oh! Fun! Nine days! I better get busy and finish up more projects before all the fun begins. I am so excited to get started. I have brought all my fabrics to Florida from my Home in Rochester,Ny so while I am here for the next 8 weeks I can work along as blocks are revealed each week. I've made my test block too. Seems this quiltalong is a popular one! Love your block.